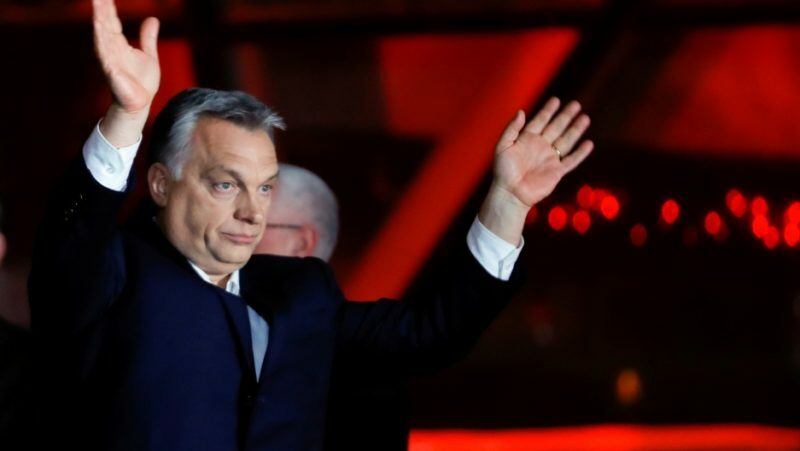 Hungary’s political reorientation since 2010 has been often interpreted in a post-Cold War narrative, as a radical shift from the liberal West towards the illiberal East. Contrary to this narrative, we propose a socio-historical analysis of the current Hungarian accumulation regime under the conduct of Viktor Orbán: we will focus on the political attempts of the rising political oligarchy which has been forming as a class fed by state and EU subsidies since the world economic crises but which group has also been using the semi-peripheral state for repositioning itself into a newly forming regional network of various inter-capitalist class alliances in the Eurasian and Transatlantic geopolitical space. The analysis departs from the dismantling of the hegemonic Transatlantic project of the European integration in which former liberal elites in Eastern Europe used to feel eager to participate. We claim that state-class formation under the post-crisis accumulation regime in the semi-periphery can be interpreted in terms of a reconfiguration of asymmetric class alliances both in their external relations within the geopolitical space but also in the internal intra-capitalist class struggles. In the Hungarian semi-periphery the prolonged and deep structural crisis led to the total collapse of the former hegemonic block lead by liberal elites. The crisis provided the opportunity for the rising political oligarchy to capitalize and use the state for consolidating a national bourgeois class position vis-á-vis dominant comprador elites. The state is representing this interest not only in the form of consolidating class antagonism, but also in its attempt to revoke power relations as a junior partner of emerging capitalist alliances in the Eurasian and Transatlantic space. The presentation points at linkages between the external forces of capitalist class alliances and the internal dynamics of the new Hungarian accumulation regime. While in competitive sectors that produce for export, the Hungarian state strongly subsidizes FDI, and subordinates labour to investors’ interests, on the other hand the oligarchy uses the state to renationalize formerly privatized public assets, such as utilities, energy, retail and banking companies in those areas in which semi-peripheral state possesses capacity to regulate for the benefit of the national bourgeoisie. While international political commentaries focus on the regime’s anti-Western and anti-EU symbolic statements, the regime is structurally not able to develop a fully antagonistic relationship to the dominant European industrial and financial classes, given Hungary’s dependence on external capital which also circumscribes the space where semi-peripheral state has the capacity to regulate. We interpret the regime’s attempts towards engagements with Russian and Chinese capital as following from this structural situation and from the inherent contradictions of the new oligarchy’s class project in the state. For assessing future trajectory we will put emphasis not only on the internal dynamics of the accumulation regime, let alone the will of prominent figures in the political oligarchy, but also on those global forces of reconfiguration that constrain the possibilities of the national bourgeois project in the post-crisis semi-peripheral state. Tamás Gerőcs is a political economist who is currently a visiting scholar at Indiana University, Bloomington, Sociology Department. Gerőcs is a research fellow at the Institute of World Economics, Hungarian Academy of Sciences. Graduated from the Corvinus University of Budapest (BUC) in 2008 with the MA degree of International Relations. Gerőcs is currently working on his Phd at BUC. His research field of interest is Eastern European semi-peripheries with a special regard for economic transformation in Hungary and in other post-socialist countries, theoretical questions in semi-peripheral dependent development with respect to external financial dependencies and asymmetric vertical specialization in the German automotive value chain. Gerőcs is also a member of the Budapest-based Working Group for Public Sociology “Helyzet”.